We only have a couple of weeks before the second half of the third season of Once Upon a Time begins, as well as the second half of the first season of Once Upon a Time in Wonderland but we just can’t help but talk about what’s in store for us next month. So before they come back, join us as we discuss general reactions and theories about these two shows in this crossover episode. Jacquelyn and Erin J joined us for this discussion. This episode is sponsored by Audible. Get a free audiobook to keep and a free 30-day trial. Of all characters from both shows, Cora is one of the shows that every ONCErs are eager to see in Once Upon a Time in Wonderland. Being the Queen of Hearts, Cora is one character that the story could not go without. And since Will doesn’t have his heart, although he seems to know where it is, this particular scene seems like it was done by Cora. However, it could also be Anastasia who ripped it and not really Cora. Plus, if it was Cora who taught Anastasia everything she knows about magic, it could make more sense if it was Ana who took Will’s heart… IF she can rip hearts as well, that is, especially knowing her reasons are for siding with Jafar during the Winter Finale. On the other hand, we haven’t heard Alice talk about the Queen of Hearts, since Will (Knave of Hearts) should have worked with Cora. However, it could also be because Alice has never met her when she was in Wonderland. Speaking about parallels between the two shows, Regina (the Evil Queen) pushed her mother, Cora to Wonderland in Once Upon a Time. It would be interesting to see it in Wonderland. In addition, when the Evil Queen cast her curse, she took everyone with her in Storybrooke. Did she take the rest in Wonderland with her to Storybrooke as well? In Wonderland’s Pilot episode, Will was seen in Storybrooke. What about the Red Queen? When Regina enacted the curse, Cora was seen in the Enchanted Forest with Hook, shielding the small part of the Enchanted Forest from her daughter’s curse with a dome using her magic. Looking back when Cora left Wonderland in the episode “Queen of Hearts”, is that when Anastasia come to power as the Red Queen? 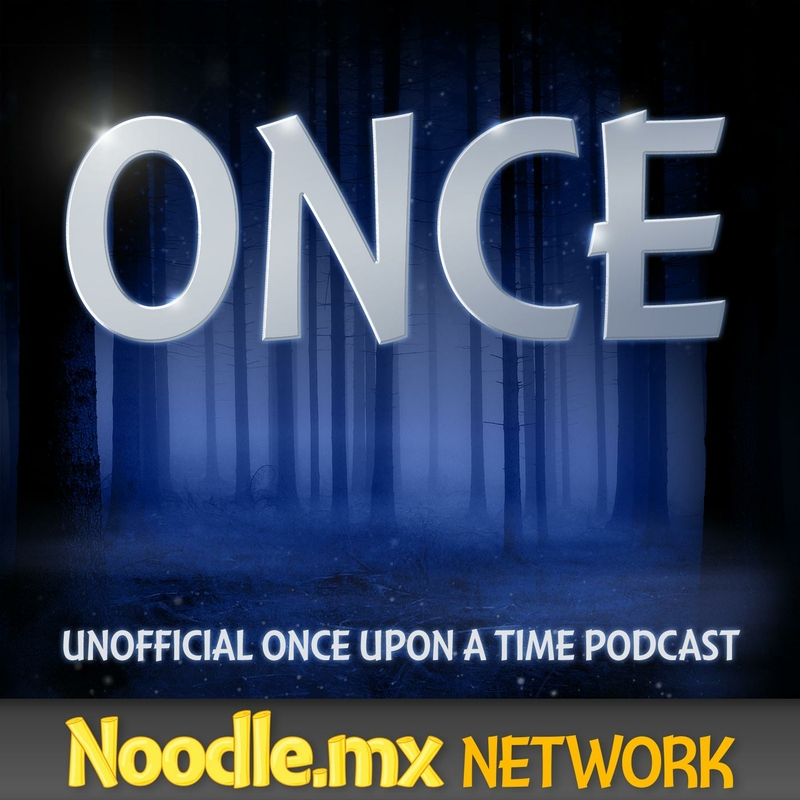 You can sponsor an episode or more of ONCE podcast, too! Email Daniel@ONCEpodcast.com if you would like to arrange a corporate sponsorship of our podcast for the upcoming third season. One of the major crossovers between Once Upon a Time and Once Upon a Time in Wonderland is the story-telling method; specifically flashback story-telling mechanism. To some degree, some flashbacks are topical, while the others meant to trick the viewers. We also noticed some similarities with the titles for both shows. Once Upon a Time 3×03 and Once Upon a Time in Wonderland 1×03 both had Robin Hood in it, and a lot of other similarities in the titling of the two shows. While Once Upon a Time in Wonderland could have been a good filler while Once Upon a Time is on hiatus, not everyone was thrilled with the show. In the recent Television Critics Association winter press tour, ABC President, Paul Lee finally acknowledges the mistake they did with the show. In the interview, Lee admitted that they did not stick to the original plan to air the spin-off during Once Upon a Time’s hiatus. Click here to read the said statement. So which show is doing better? While each show have their own themes, Once Upon a Time has a better music; the sound effects meshed well with the emotions, as well as the things that happen in every episode. Wonderland, however, seem to lack in it; the music for Alice and Cyrus, however, fits them perfectly. Once Upon a Time seems to be a family-centric show while Wonderland focuses more on finding lost love, but which series told the better stories? And while both shows tells a different story, Once Upon a Time in Wonderland seems to be doing a better job in telling a story compared with Once Upon a Time, especially when it comes to character development. In addition, there are a lot of episodes in Once Upon a Time that took time before they progress or for one character to get a character development. This could also be because Once Upon a Time have so many characters to show, whereas Wonderland don’t have as much characters than the other. Red Queen (Anastasia) vs. Emma: The Red Queen may have some powers but Emma is the savior. Surely, she can take her down, right? Rumple vs. Jafar: While both have the ‘not wanting to die’ thing, Rumpelstilstkin can take Jafar easily. But while he is the Dark One, Rumple have people he loves and Jafar can fly, so Jafar just may have a chance. Alice vs. Snow: If both of them holds each other’s love hostage, who would win? Snow may seem tough, but she’s also too good to win over Alice so Alice may have a better chance at taking her down. Corbin from the forum thinks that Jefferson got his hat from the White Rabbit. Looking back at Once Upon a Time, it was never really revealed where Jefferson got his hat from and how did it come to his possession. One of the most talked about in the forum is arguing who the worse parent is – Cora, Pan or the Sultan. While Cora is evil, part of everything that she did was because she doesn’t have her heart in her so she was immediately disqualified. As for Pan and the Sultan, however, both have theirs and abandoned their son on their own will. Who do you think is the worse parent? Cora, Pan or the Sultan? Are we going to see any more character crossover with these shows aside from Cora? Is there a chance for us to see Emma, Snow, Charming, Hook, or Regina end up in Wonderland or Jafar, Cyrus, the Red Queen or Alice in Once Upon a Time? But even if they can cross each other’s series, how would it fare to the story? On a side note, a lot of ONCErs seem to be okay in seeing Will in Once Upon a Time. Moreover, it is quite disappointing that there was no mention in Once Upon a Time of the giant hole left by Will in Granny’s Diner during Once Upon a Time in Wonderland’s pilot episode. They could have made a little comment, but the show stayed tight-lipped with it as if it never happened. Now that Will become the new genie, what happens to him now, and where he is? Where will he end up and how can they find him? Are any of them going to die and sacrifice themselves to save the others? In Once Upon a Time, there are numerous characters that they can kill off mid-season (like Neal), but Once Upon a Time in Wonderland don’t have as much characters compared to Once Upon a Time. But storyline-wise, anyone from any of these two shows can be killed off if it will help develop the story further. Now that we’ve learned that Will doesn’t have his heart in the majority of the episodes in Once Upon a Time in Wonderland, it doesn’t seem to fit through with we have seen of how Cora had become when she ripped her own heart. While Cora stayed arrogant and wanted to gain more power, Will seemed to keep doing the right thing. Is it possible for them to retain their personality despite their hearts not being inside of them? ABC is changing its online TV viewing rules for the fans. Right now, ABC is implementing a program wherein each viewer must verify their cable subscription on ABC.com prior to watching the shows the next day after it aired. If a viewer don’t have cable or a Hulu Plus account, however, then they would have to wait 8 days before the show becomes available to them. Please keep in mind that the second half of the first season of Once Upon a Time in Wonderland will resume in March 6, while the second half of Once Upon a Time’s third season begins in March 9. Do you have a general theory about any of the two shows or both? Share it with us using the comment section below, joining us in the forum or sending us a message! Visit any page on ONCEpodcast.com and click the "Send a voice message" link to record and send a message right from your computer. Find and follow all the Once Upon a Time cast and crew on Twitter. Provided by Hunter Hathaway and Jacquelyn. New characters coming up – Rebecca Mader as the Wicked Witch of the West, Christopher Gorham as Walsh, Henri Lubatti as Lumiere (which has been renamed to Lawrence), and Alexandra Metz as Rapunzel, to name a few. Gorham’s character, Walsh was cast to be a potential love interest for Emma but is it possible that he is working for the Wicked Witch of the West as well? It seems that Neal also wanted to find his son and Emma as soon as he can, but how? Meghan Ory will be back later in the season, and Rose McGowan is also set to reprise her role as Young Cora. No word yet as to when the two will come back, though. In 3×17, Charles Mesure is set to come in to the show as the Blackbeard, a character from the Treasure Island. Based on the title, “The Jolly Roger,” it seems that he will have something to do with Hook. ONCE has also found their Galinda – Sunny Mabrey, who looks perfect for the part. The Wicked Witch of the West has something to do with the new curse. The Wicked Witch of the West and The Evil Queen may be clashing but they could also be related; more likely sisters! We will meet Rapunzel in 3×15 and Charming will come to save her! Robin Hood and Regina are finally going to meet! In the premier, someone is going to get heartless. Word is Regina is going to take her own heart out because of the loss she felt from losing her son, Henry. Someone is going to die. For real. There is so much debate on the spoilers, but most people take it down to Belle, Hook and Neal. Knowing the show, the fate is still up for anyone other than those three. So far, we have got the titles up to episode 19. 3×19 episode “A Curious Thing” relates directly to The Wizard of Oz, referring to the shoes; perhaps an Oz-centric episode. Episode 9 entitled “Nothing to Fear” was written by Richard Hatam and Jen Kao and directed by Michael Slovis. Cora is heading to Wonderland as well. As to when and how, there is no confirmation yet. 1×10 is going to be Cyrus-centric; telling how Cyrus became a genie.